Favaritx Cape, one of the most geologically ancient places on the island of Menorca, is located at the end of the Albufera des Grau. Defined on numerous occasions as Menorca's most supernatural landscape, it is located 17 km away from Maó. 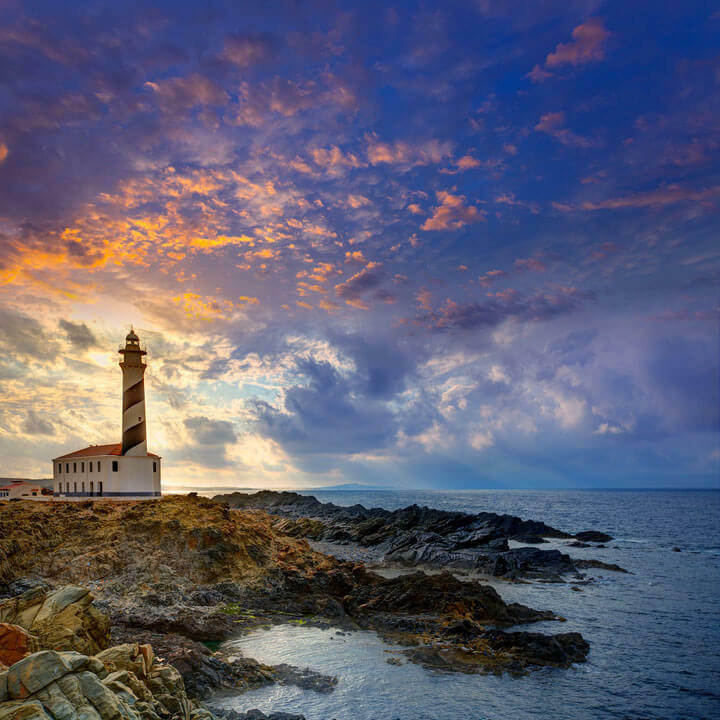 At the top of the cape, where the vegetation is almost non-existent, it stands one of the most famous lighthouses on the island of Menorca; the Favaritx Lighthouse , built in 1922. With a white and black tower of 28metros height, this imposing construction is one of the obligatory visits to make on the island. On the way to the lighthouse, you will find the Cós des Síndic, a small natural lake. It is a temporary water raft that is formed when there are temporary rains. It has a great ecological importance, as it is a place of rest and feeding of some migratory birds.